Swans are symbolic in many cultures, in Celtic folklore they symbolise love and purity. When I glimpsed these lovers while driving at twilight I simply had to pull over to photograph them as they so vividly brought to life the wonderful words of Irish poet William Butler Yeats. 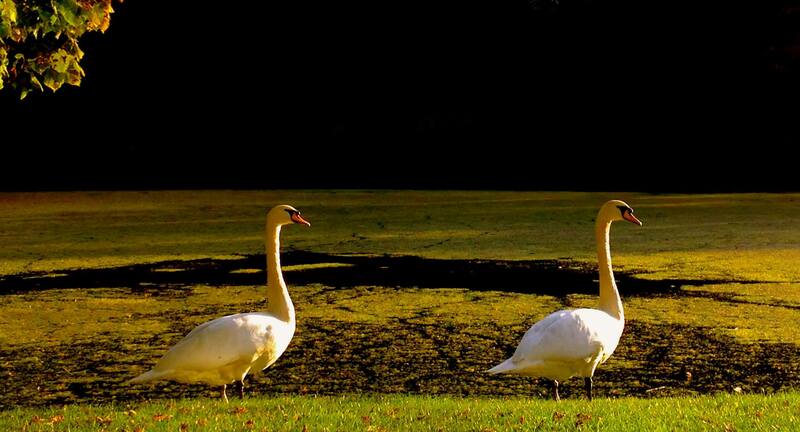 This entry was posted in Weekly Photo Challenge, Weekly Photo Challnge and tagged Swans, Symbol, Weekly photo challenge, Wilde Swans at Coole, William Butler Yeats. Bookmark the permalink.